It's December, and my friendly neighborhood prime broker has kindly arranged another lunch to close out the year. This year, they've decided to do the lunch together with another firm that we are friendly with, and suddenly we found ourselves sitting around a rather big table for a change - this time at Duddell's (都爹利會館). 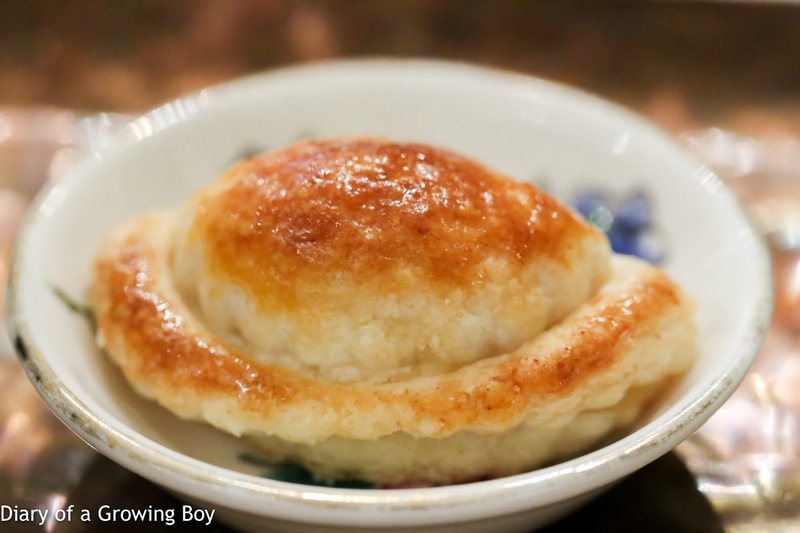 Steamed shrimp dumpling (鮮蝦餃) - this was some sort of shrimp dumpling, which was pretty good. 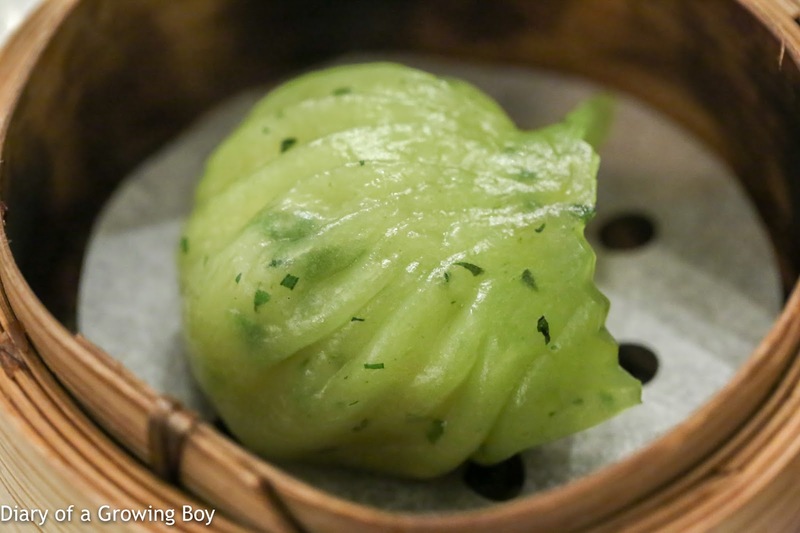 Steamed vegetable dumpling (蒸粉果) - all veg inside, which was just fine with me. 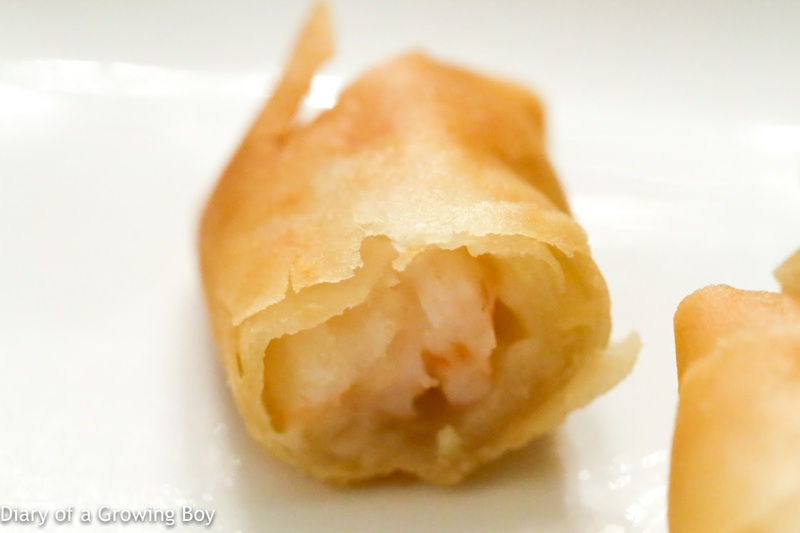 Chicken spring roll, garlic (蒜茸雞絲脆春卷) - pretty decent. 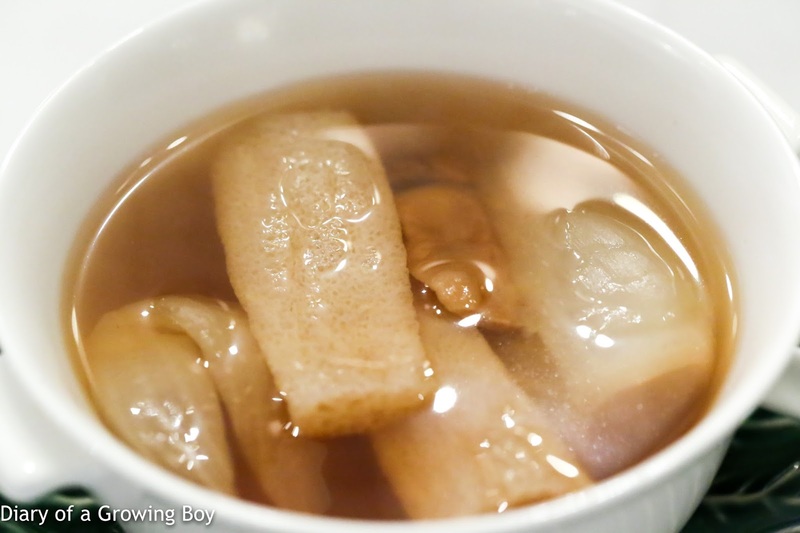 Double boiled matsutake mushroom with bamboo pith and Chinese cabbage (竹笙菜膽燉松茸) - a very nice bowl of soup. 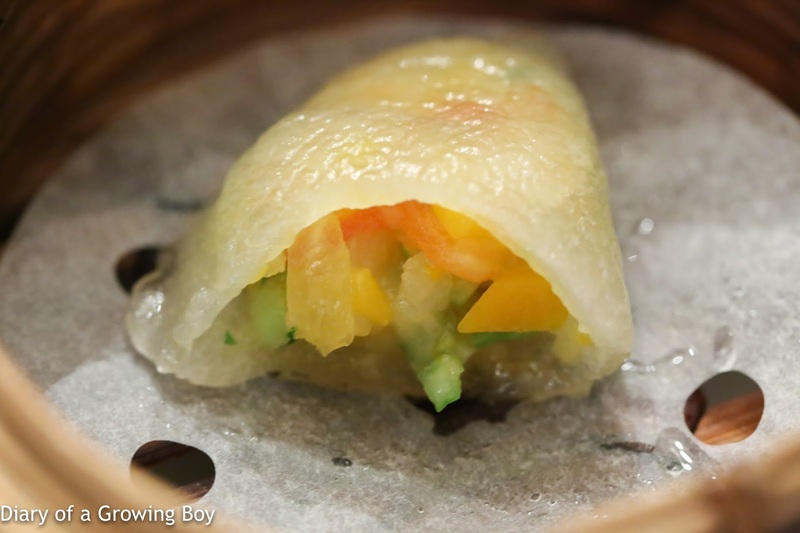 The flavors from the matsutake were OK, and I always love to have me some bamboo piths. Nice and clean flavors. 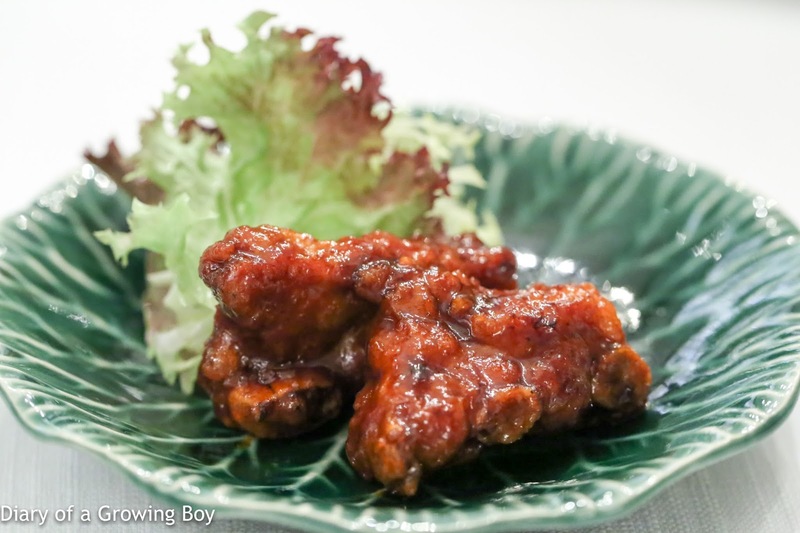 Crispy pork ribs with sweet and sour sauce (貴妃香酥骨) - I wasn't real excited when I first saw this on the menu, but these turned out to be pretty tasty! 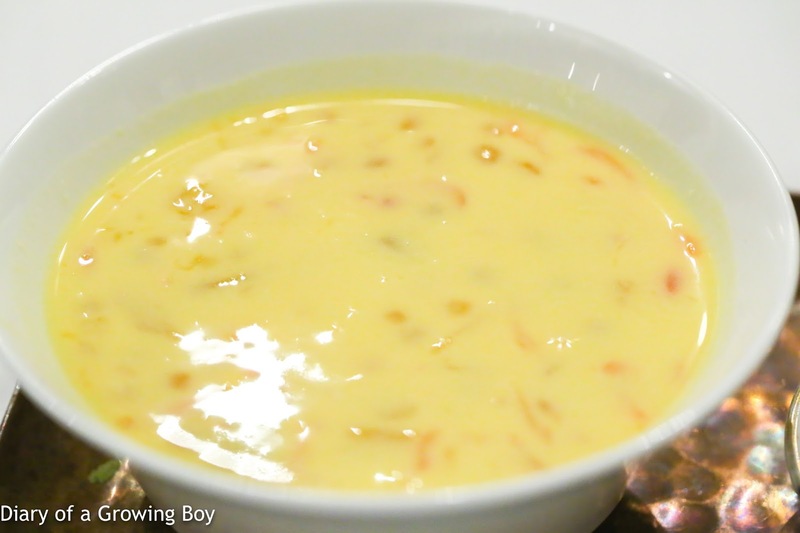 Great combination of crispy batter and delicious fat. And I didn't mind the fact that this was sweet and sour at all. 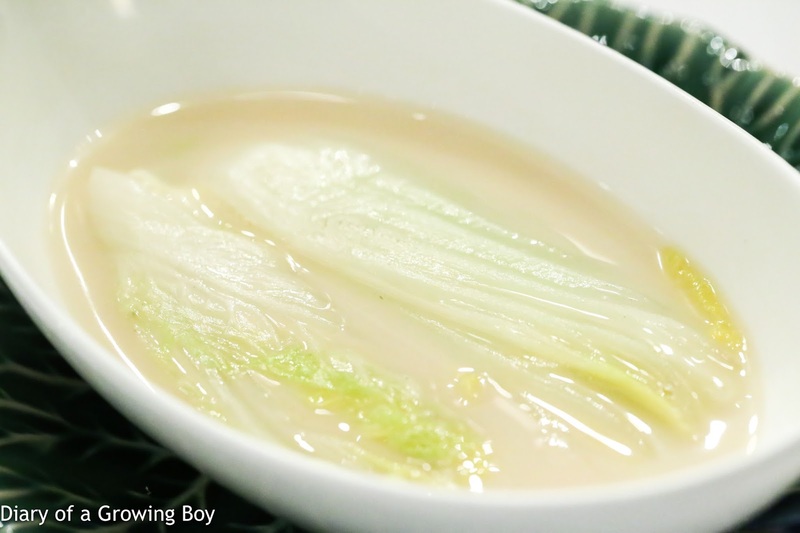 Poached seasonal vegetable in fish broth (魚湯浸時蔬) - it's always nice to have veg in fish broth, and this was pretty comforting. 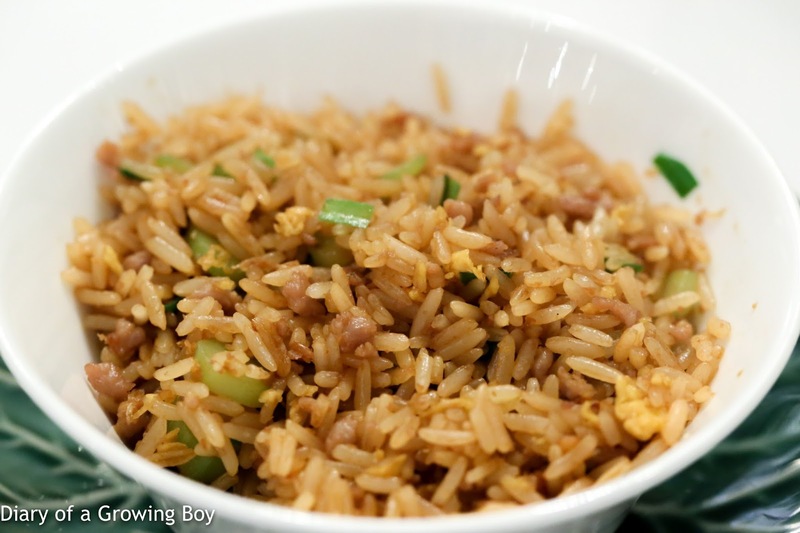 Fried rice with minced beef with crispy garlic (蒜香牛崧炒飯) - a very delicious bowl of fried rice. I knew I should have taken it easy, but I just couldn't stop myself from finishing this bowl. 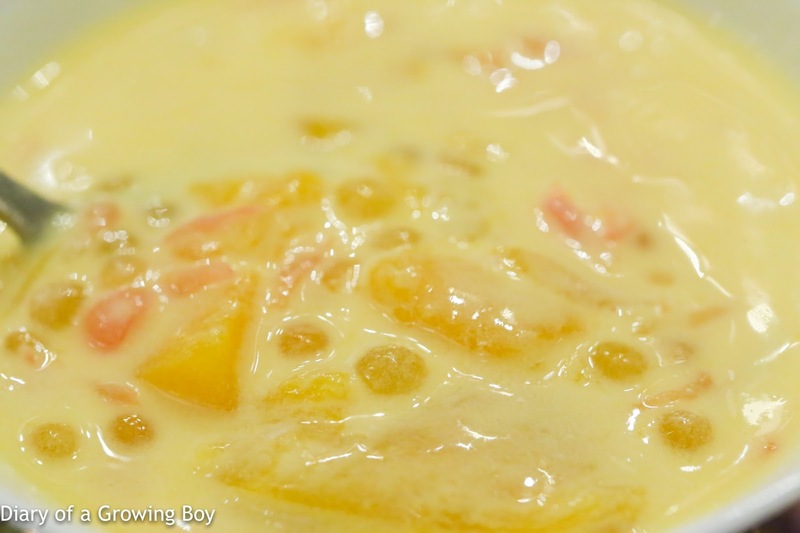 Chilled sago cream with mango (香芒楊枝甘露) - one of my favorite Cantonese desserts... Slurp. 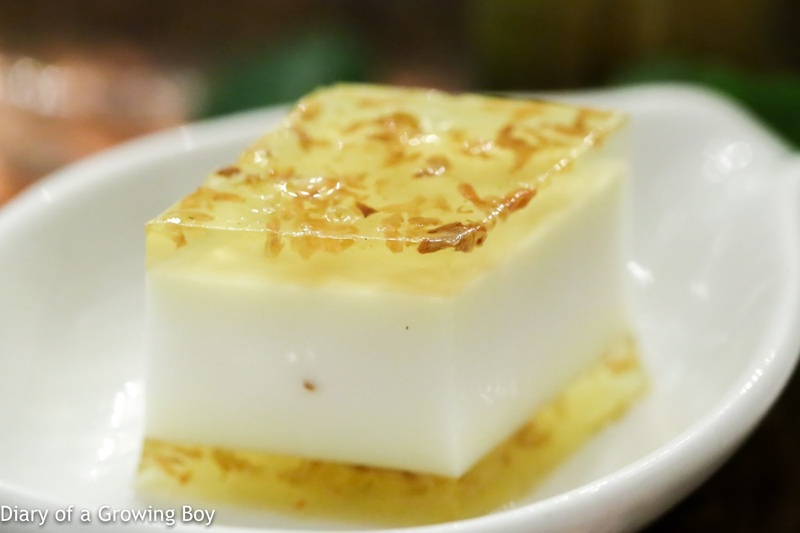 Petit fours (美點薈萃) - the osmanthus jelly was ice, and the lotus seed paste puff was not bad, either. 2014 La Crema Chardonnay Sonoma Coast - very fruity nose, with lots of tropical fruits and sweet vanilla oak. Many thanks for the annual treat, and looking forward to many more in the years to come.